* The ASMU and ASMU2 2019 application is now closed. Use your Spring Break to find your future! 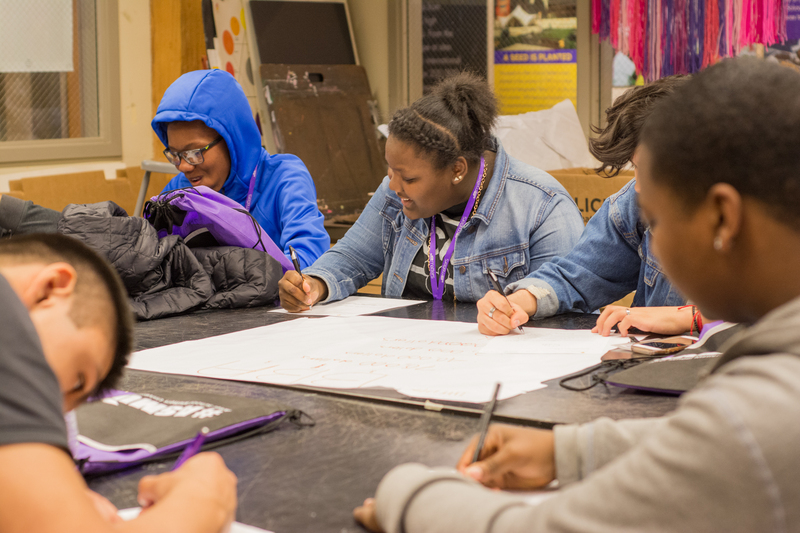 The After School Matters University (ASMU) Spring Break Program provides teens with an opportunity to explore, engage and learn about the post-high school experience. ASMU is for 9th and 10th graders and ASMU2 is for 11th and 12th graders. Explore post-secondary pathways and envision a successful college or career pathway. This program is dedicated to breaking down real and perceived barriers that stop CPS teens from pursuing a degree, a trade, or career. 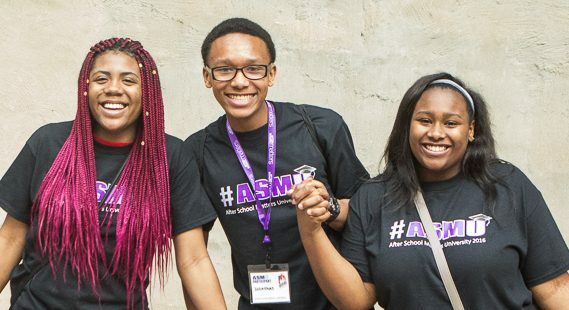 Prepare for your post-secondary pathway and connect to networks like ASM Alumni Network. The program is dedicated to teaching CPS teens key skills and habits to prepare for college and career success. 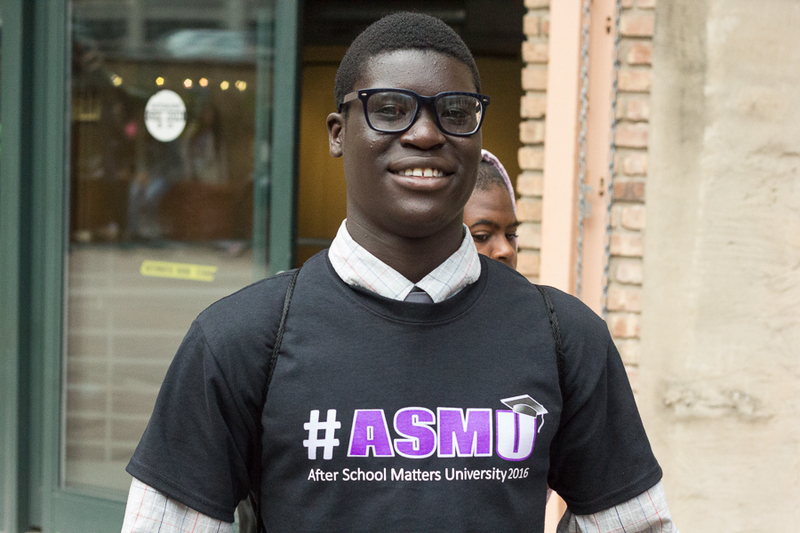 WATCH the video below to learn more about ASMU from the teens who attended in 2015. If you already submitted a Spring 2019 application for After School Matters programs, please use the same application ID and “edit existing application” to add ASMU or ASMU2. If you can’t remember your password, select “forgot password.” *Please note, you may still apply for ASMU if you are enrolled in a Spring program. Have a valid city of Chicago address (you cannot complete the application without a valid city address). *Due to limited space 120 teens will be selected using a lottery system for ASMU. ASMU2 is limited to 60 teens, who will also be selected via lottery. Notification of acceptance will be sent out on Friday, March 8, 2019 by 5:00 p.m. Notification will be sent to the teen’s email address provided in the application. If you do not receive notification by Friday March 8 at 5:00 p.m., you may contact [email protected]. Teens who are selected or waitlisted to participate in ASMU or ASMU2 must submit required documents in order to secure their spot. Instructions will be emailed to accepted and waitlisted applicants on March 8, 2019. All teens are welcome. Contact Samantha Deane at [email protected] for details. ​ Programs will begin promptly at 9 a.m. on all days. Workshops specifically designed for 11th and 12th graders who are preparing for college—including college interviews, paying for college, and what to expect of college level class work. Introduction to the ASM Alumni Network and tools for life after ASM. Programs will begin promptly at 9 a.m. on all days. Contact us at [email protected] or (312) 742-4182. Am I eligible for ASMU? 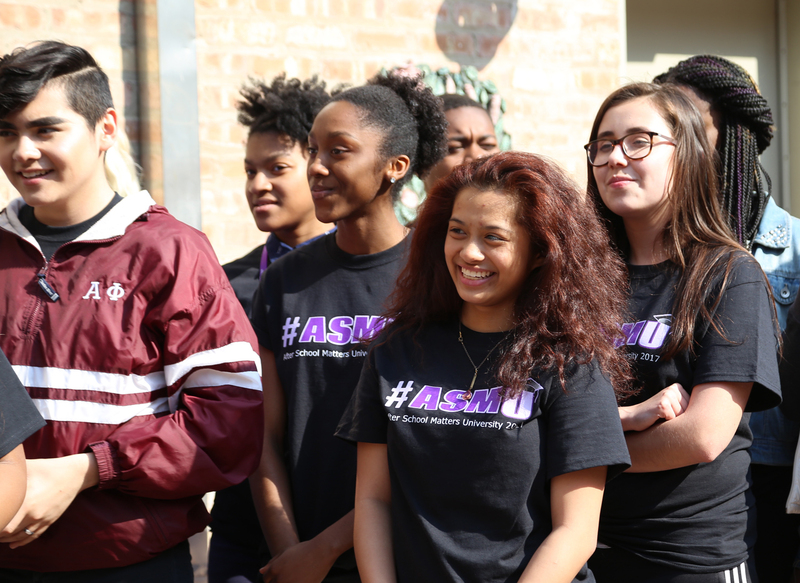 ASMU is open to current CPS high school students. Teens who are selected or waitlisted to participate in ASMU or ASMU2 must submit required documents in order to secure their spot. Teens must submit a signed Field Trip Form via email by Friday, March 22, 2019 at 5:00 p.m. Additional documents and instructions will be emailed to accepted and waitlisted applicants on March 8, 2019. Can I apply to ASMU if I’m already enrolled in a Spring program? Yes! Use your same application ID number to log in to the After School Matters Spring application. On Step 2, search for “ASMU” in the program keyword search. Can I apply to ASMU if I wasn't accepted to a Spring program? When will I hear if I've been accepted to ASMU? Teens will be notified of their acceptance status following the randomized selection lottery by 5pm on Friday, March 8, 2019. Do I need to be a current After School Matters teen to participate? No! You can apply if you are a student who attends a CPS high school. If I did ASMU last year, can I participate again? If you were a part of ASMU as a sophomore and want to participate again, we strongly suggest that you apply for ASMU2. If you were a part of ASMU as a freshman we ask that you allow another young person to have this opportunity. Spaces are limited and many of the activities will be a repeat for you. You can also apply for other Spring Break immersions at ASM. Do I need to attend all four days in order to participate? Yes. You must be available for all 4 days and attend every day of ASMU and ASMU2 in order to participate. I’ve been accepted! How do I confirm my attendance to hold my slot in the program? Congrats! Please confirm your attendance and submit the required forms, including the Field Trip form before March 22, 2019 in order to claim your space. I’ve been waitlisted! How do I confirm my attendance to hold my slot in the program? Please confirm your interest and submit your Field Trip Form before March 22, 2019 in order to express your interest. If you received the accepted/waitlisted email but did not receive the required forms, please contact us at [email protected] and forward us your acceptance email. Field Trip Form submitted electronically or by email to [email protected]. See instructions. Program Acknowledgement Consent and Release, submitted electronically.